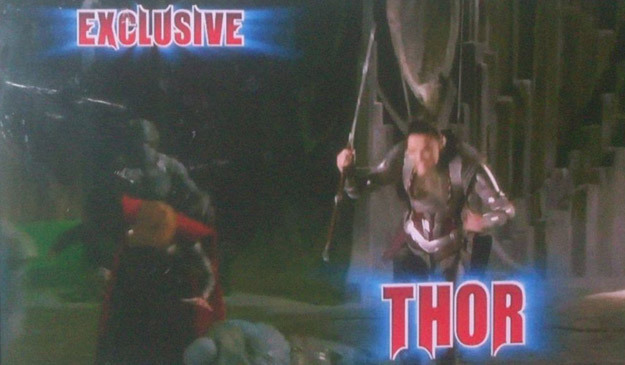 Last week, we posted a behind-the-scenes segment from Entertainment Tonight taped at the Thor set. Apparently the TV version of that clip showed less than a second more. 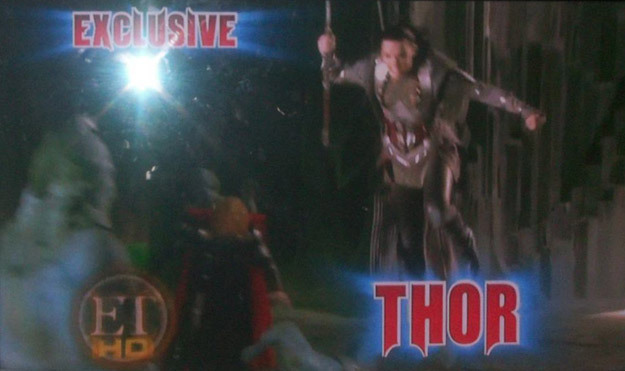 That second does give us our first look at Jaimie Alexander as Sif, though the pics below aren’t the best quality. 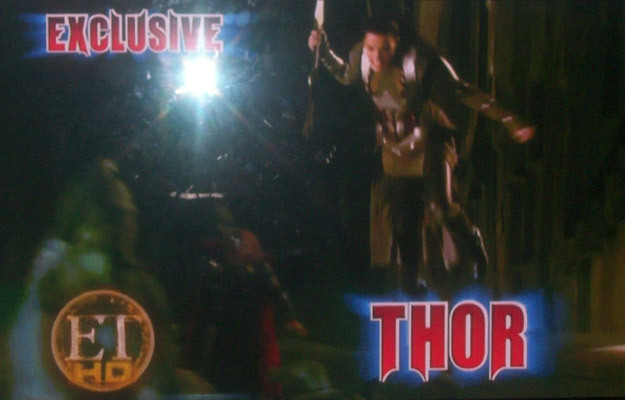 The Kenneth Branagh-directed comic book adaptation hits screens on May 6, 2011.